Buying curtain rods can get really expensive, especially if you need the extra long ones. I discovered this recently when I redecorated my entire house, including all new window treatments. 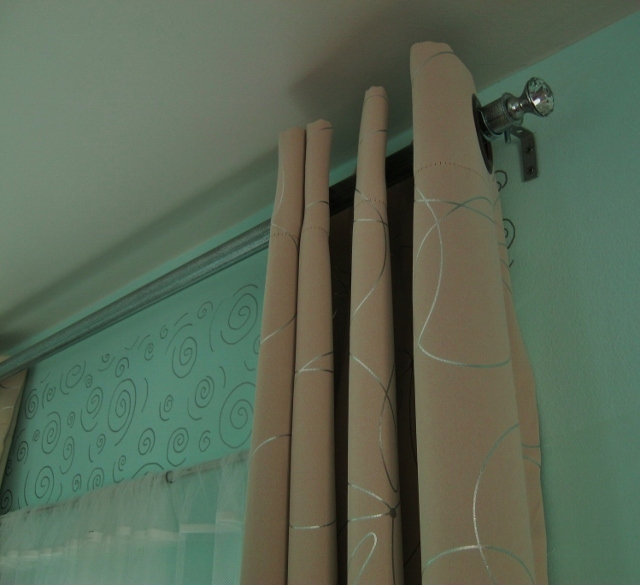 I learned how to use cheap materials from the hardware store to make sturdy, professional curtain rods in different lengths. The average cost per rod, including brackets, was only about $5 apiece. I also figured out how to make finials that snap into the rods perfectly using a technique I have not seen anywhere else. 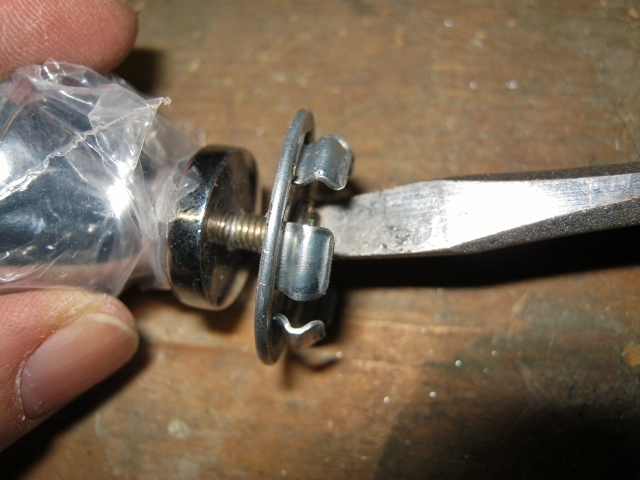 This tutorial details how to make curtain rods (from electrical conduit), brackets (from straps, corner braces, nuts and screws) and finials (from knockout seals and cabinet knobs). 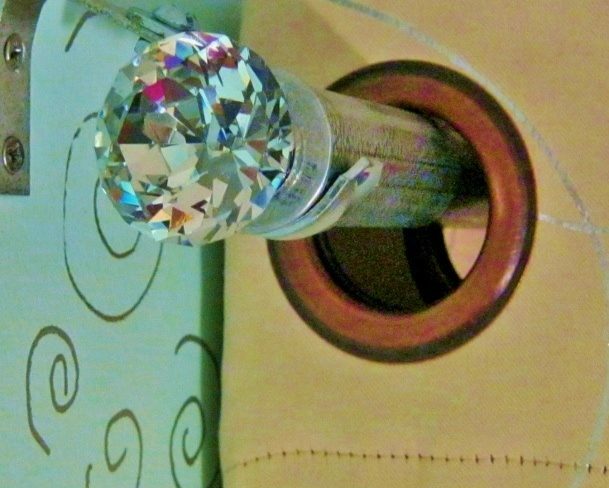 Let’s see how easy it is to make your own cheap but chic designer curtain rods. 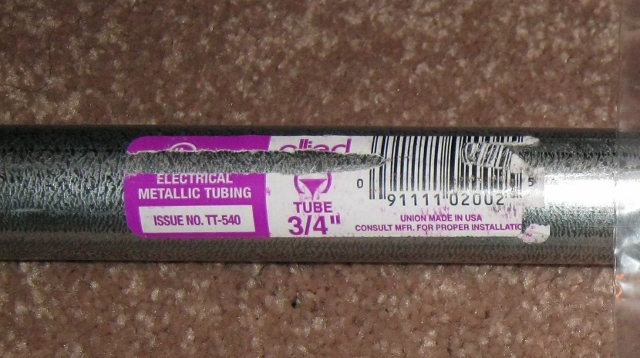 Get down to your local hardware store and pick up some electrical conduit, a lightweight but sturdy hollow metal tubing. The best part is it comes in 10′ long lengths for something like $2 each. If you happen to have a window wider than 10′, you can easily put pieces together to make the size you want using couplings (described later on). 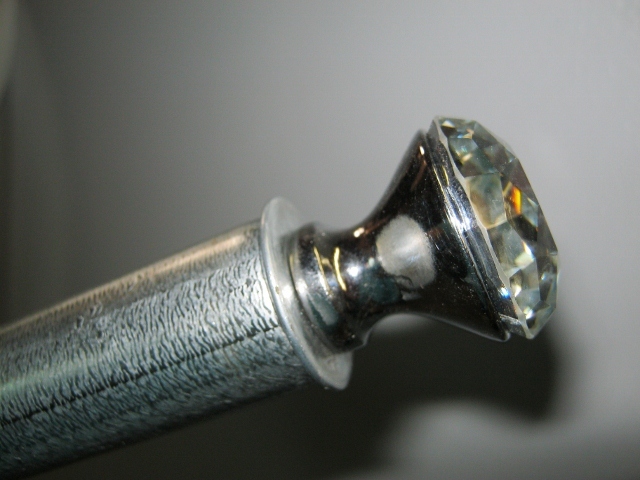 Conduit comes in different diameters, but for curtain rods I suggest choosing from ½”, ¾” or 1″. I chose the ¾” for my project. Then for heaven’s sake try and get someone at the hardware store to cut these for you! Wash and dry the metal, go over it with sandpaper to give it some tooth, clean the metal with alcohol, use spray auto primer followed up with at least two coats of Krylon spray paint. 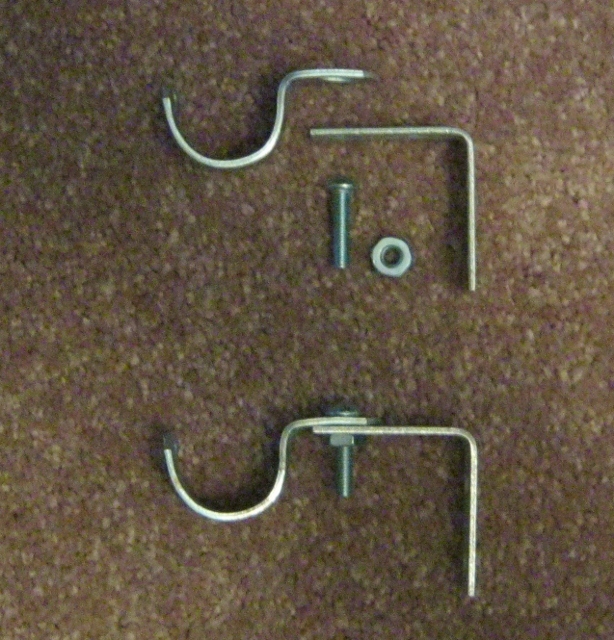 The curtain rod brackets are made from straps, corner braces, nuts and screws. Straps. Buy the same size strap as the conduit. For example, my conduit was ¾” so I got ¾” straps. You need two per window. Corner braces. 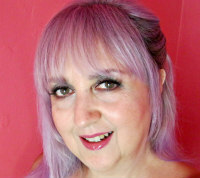 These come in various sizes but I chose 1½” corner braces. That’s how far the rod will stick out from the wall. I would not go any smaller than that. (I wish I had gotten 2″ braces, but, oh well.) If you have a 1″ rod, I would suggest getting a 2½” brace (larger rod, larger brace). Again, you’ll need two braces per window. Nuts and screws. I used machine screws #10-32x¾”, whatever that means. All I know is you need two per window. 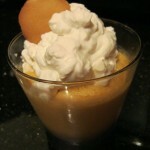 You’ll need to use a wrench and screwdriver to put these together. 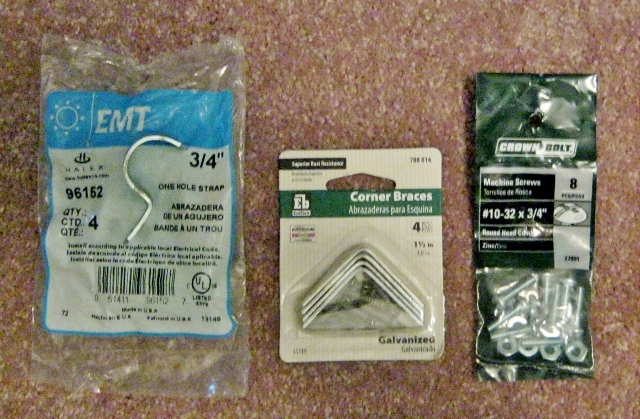 You will also most likely need plastic anchors for attaching the brackets to drywall, along with screws of course. 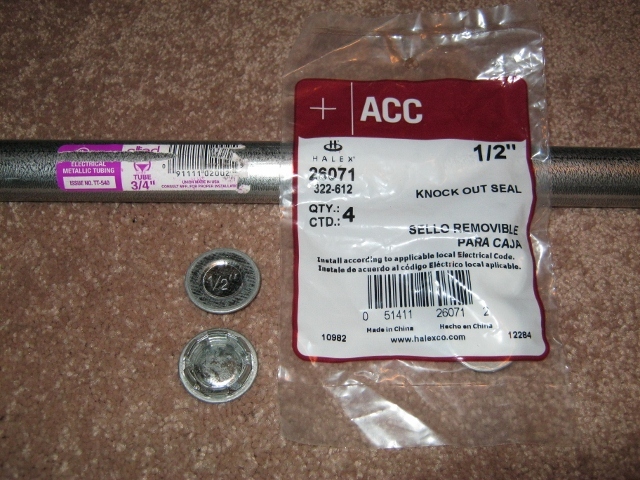 The important thing to remember is that you need a knockout seal one size smaller than the conduit. 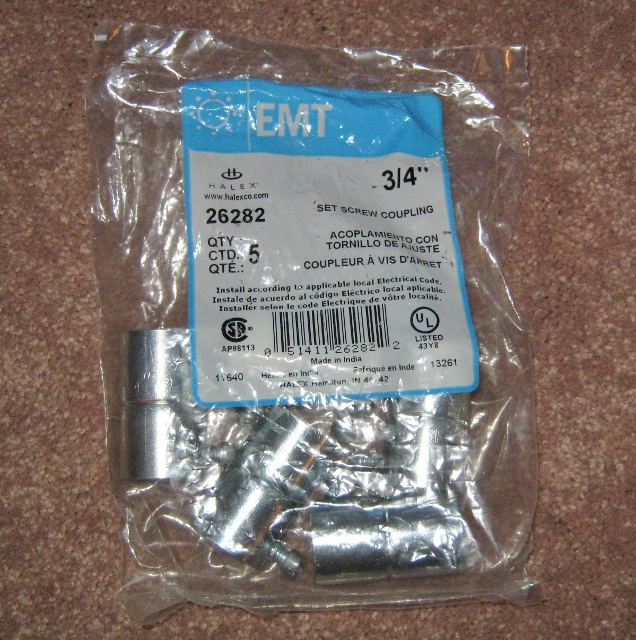 I bought ½” knockout seals because my conduit was ¾”. Once again, you need two seals per rod. If you didn’t want to make finials, you could opt to use just the knockout seals for a streamlined industrial look. 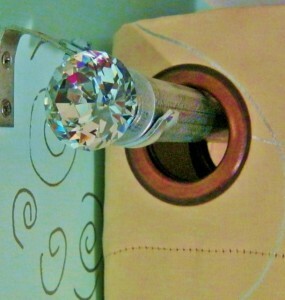 But to make the finials, you’re going to need cabinet knobs. The hardware store has a nice selection, but you might also want to shop around online. Here’s where you’re going to spend a few extra bucks, but it’s worth it for that designer look. 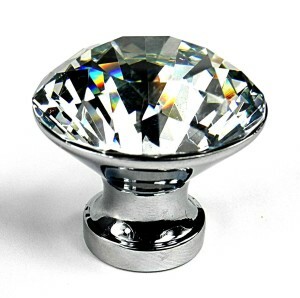 These are the ones I chose because they look like a big old diamond and I’m all about sparkle! The size is good too because I’ll never have to remove them to get my curtains off the rods. You’re not limited to silver knobs. Feel free to mix metals—it’s très chic! If you’re lucky, the hardware store will do this for you. They actually did cut mine but later I discovered one piece was a little too long. 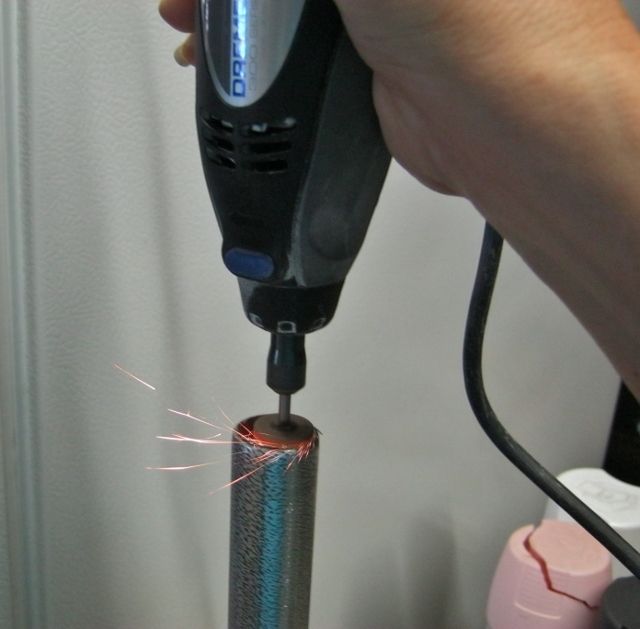 That’s when I broke out my Dremel. 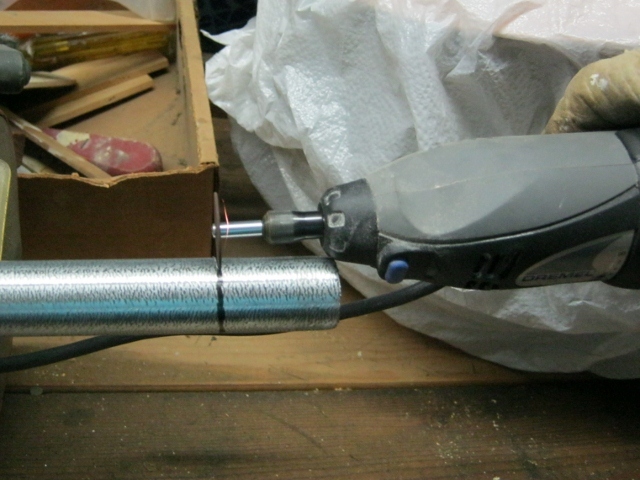 If you need to cut the pipe and you don’t have a rotary tool, you should buy an inexpensive pipe cutter. A hacksaw would also work if you have the patience for that. The cut end of the pipe needs to be reamed out. If the hardware store cut the pipe, they’ll do this for you too. I had to use my trusty Dremel again to ream out the end I had just cut. It also smoothed away the rough edges. Note: Be sure to wear safety glasses when using power tools. A sticky reside will be left behind when the label’s removed. I used a little baby oil on a cotton ball to dissolve it. Any oil will work, even cooking spray. 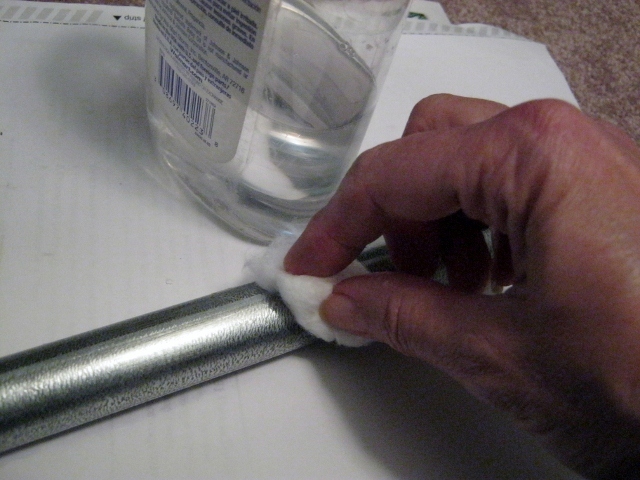 Then to remove the oil I went over it with rubbing alcohol and a paper towel. 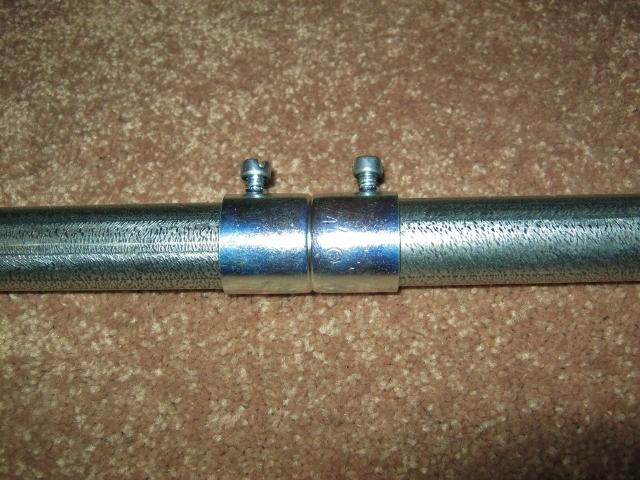 To make extra long rods, you need couplings the same size as the rod. You can connect as many pieces as you want to make rods of any length. The longest rod I needed was 96″ and that one didn’t require piecing together. But I did end up with two, short leftover pieces. I like the look of these conduit rods so much that I decided to make a new rod with these leftovers. Together they were just the right size for the window in my craft room. That made my inner cheapskate very happy, and the new rod looks great! 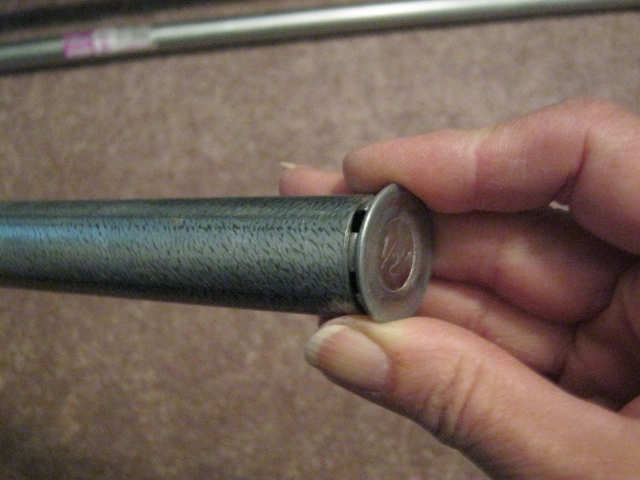 It takes a bit of work to get the knockout seal into the end of the rod. You’ll definitely need to pound it in with a hammer. You might even have to bend the prongs in a little. 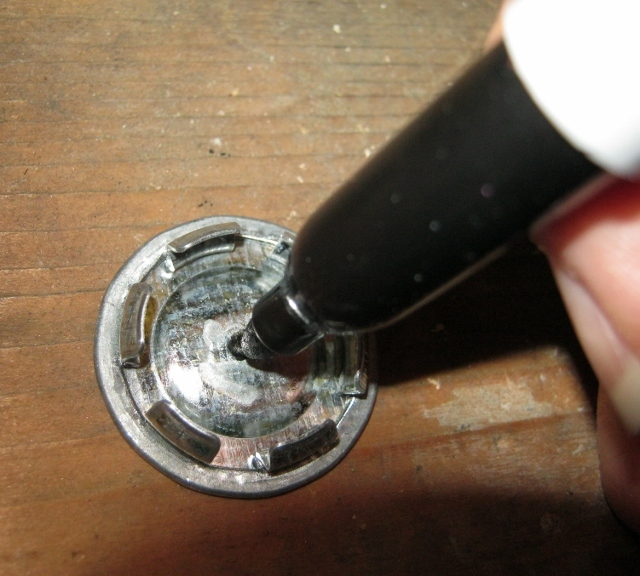 Removing a knockout seal: Once in, the seal can be removed with a screwdriver and hammer. The seal has an edge that extends past the rod, so you would need to put the screwdriver on it and tap it out with the hammer. 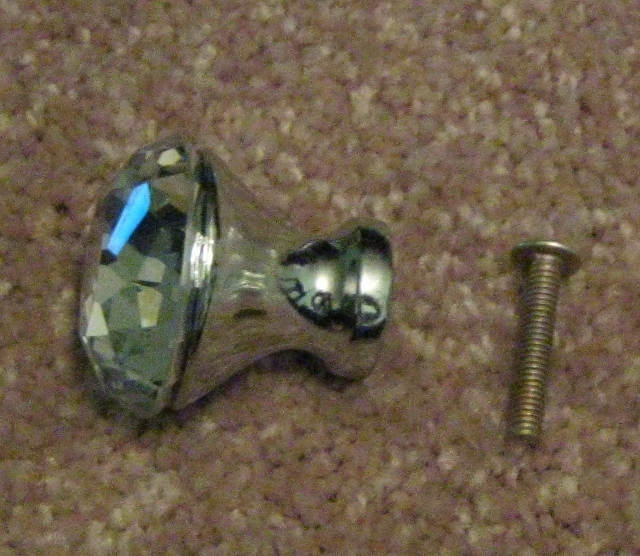 When you’re using cabinet knobs, the screws that come with them are going to be too long. That’s because they’re meant to be screwed into a piece of wood at least a half inch thick. The knockout seal is much thinner than that. 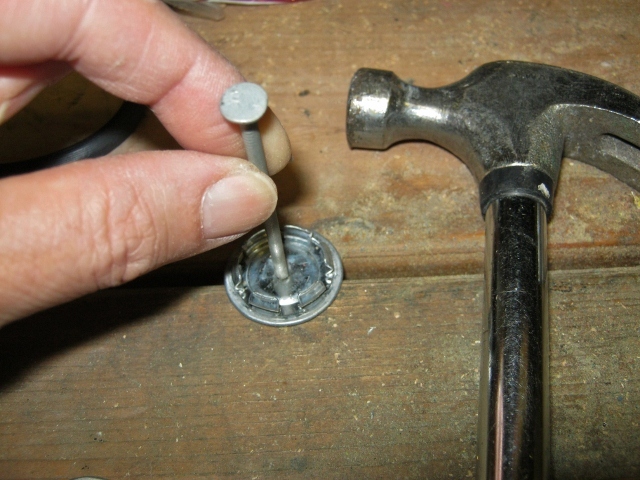 You can either find shorter screws or chop off the ends. I decided to shorten the screws by about ½”. Once again, my Dremel saved the day. 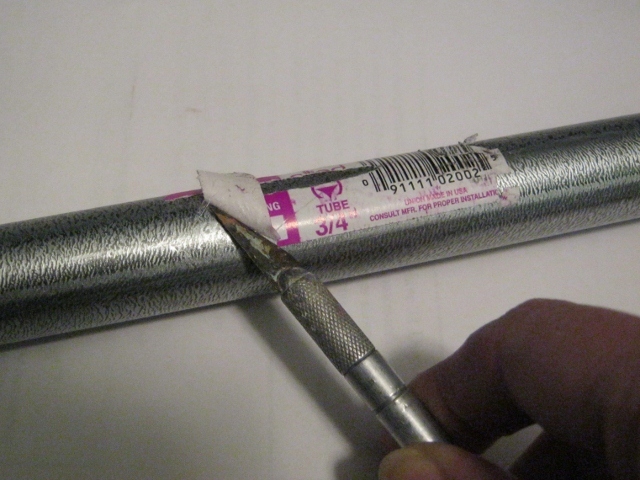 Use a Sharpie to mark the center point. You will need to make a hole in the seal large enough for the screw. As you can see, I did this old school with a hammer and nail. This step was by far the hardest part of the whole project. 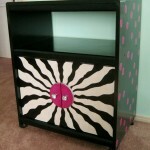 It would have been much easier with a drill but my big drill was broken. You might not have one either, so this is the next best way. I used different sizes of nails until the hole was large enough. While holding the knob on the outside of the seal, screw in from the inside. Make sure all the pieces fit snugly together. As I described in an earlier section, getting the seal into the rod takes some work. The prongs will need to be bent in a little, then you’ll need to place a screwdriver on the edge, tapping it in with a hammer. 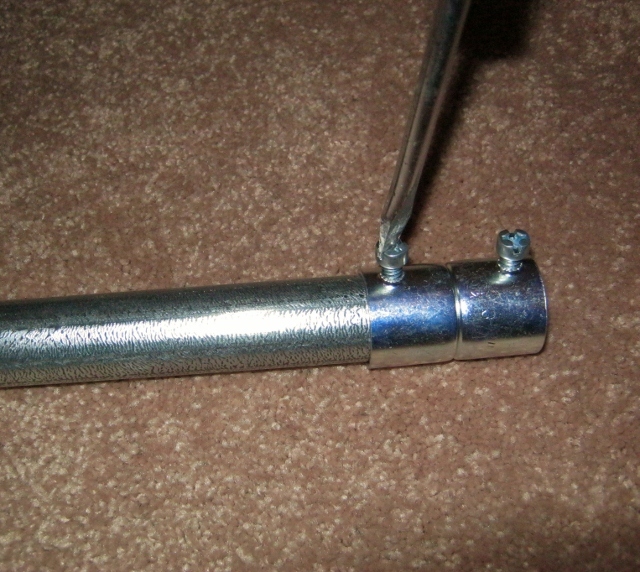 The screw goes in from the top and is held in place with a nut underneath. 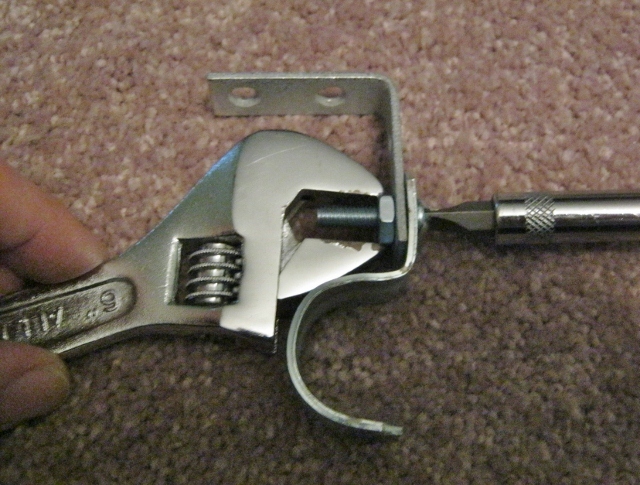 Use a wrench to hold the nut. All that’s left now is to mount the brackets onto the wall and snap the rods in place. The rods in this room, with finials, cost under $13 apiece. 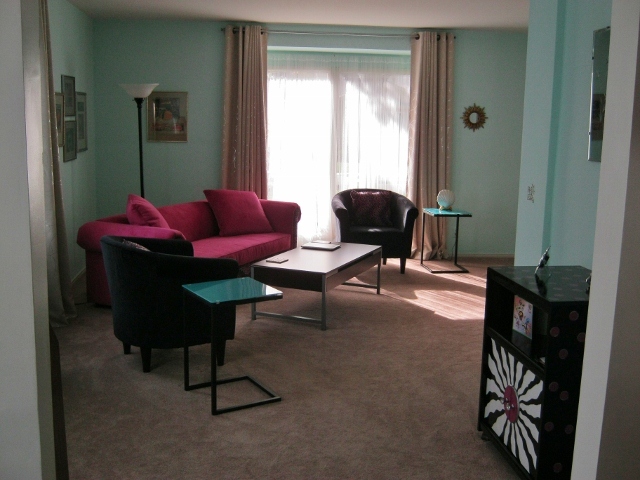 That brings the total for the living room to $38 for three windows. To me, it looks like a million bucks!